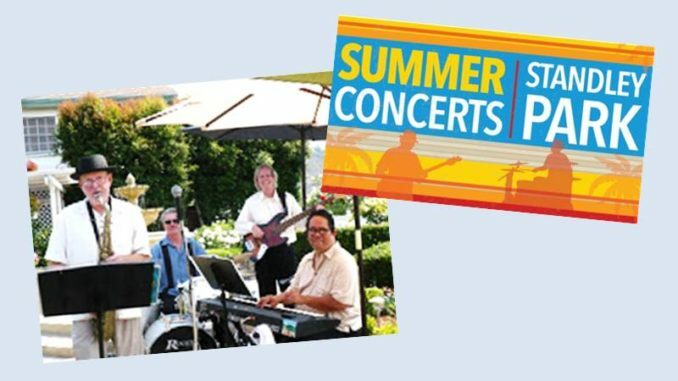 Scripps Health has teamed up with Standley Park Recreation Council as a major sponsor for this popular outdoor summer concert series on the lawn of Standley Park, 3585 Governor Drive in University City (92122). Bring a picnic dinner and chairs or blanket and enjoy a relaxing evening with friends and neighbors. The last concert of the season is Sunday, August 26, with FORECAST featuring University City resident Greg Pardue. Enjoy an evening of jazz, from funk to swing & blues to bossa novas. Sound check and warmup begins at 4:30; concert from 5 to 7 PM. A shout-out and thank you to the Summer Concert committee who put together a series of eight free concerts at Standley Park featuring a variety of musical styles. Many of the performing bands featured local residents.